Hello there! Welcome to the Craftwell blog! 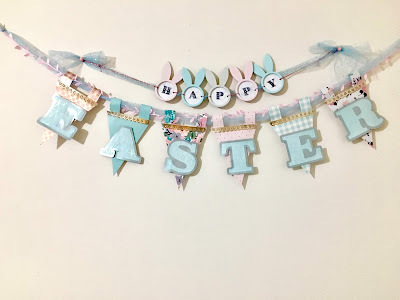 Desiree', here to share a banner I made to celebrate Easter! For me Easter is full blessings! So being a little extra is a must! And this banner is just that, extra! Heheh! 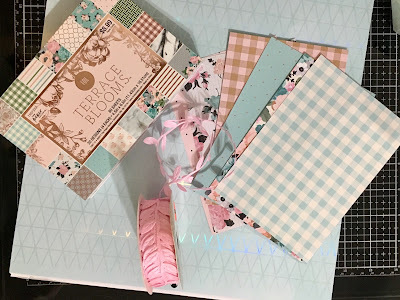 So if you have came across any of my posts on this blog (and I hope you have) you will know all my projects start with choosing the papers! 💖 This task was made super easy by using the Paper Studio, Terrace Blooms, 4.5x6.5 stack. I also used a couple of 12x12 pieces of paper from an older stack in my stash by DCWV, called Water Color Ombre. I used some 65 lb. metallic paper too. I love the papers I chose! More and more I am obsessed with die cutting! I love the ease of it and the way the finish of the edges on a die cut! 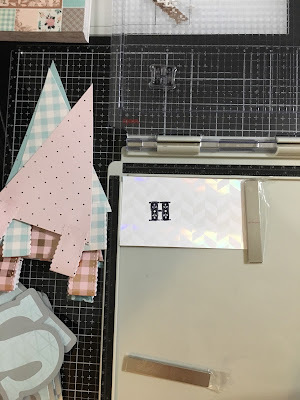 I unfortunately did not have a die to cut the kind of banner shape I had in mind, SO I busted out my WRMK, banner punch board. Then cut my banner pieces out. Next I did some stamping! 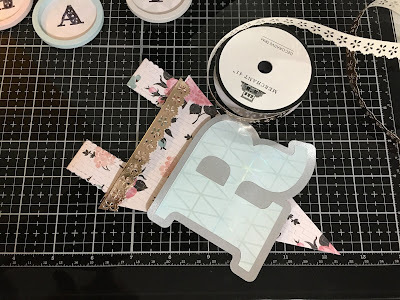 Using the epic Tim Holtz stamping platform, of course. So I stamped H-A-P-P-Y out on some of my paper. Oh! Forgot to mention the bunnies! 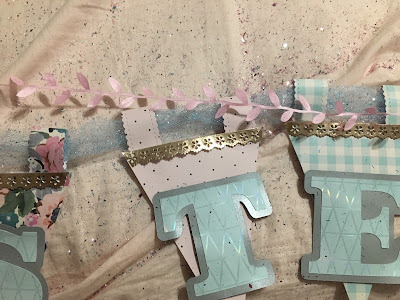 I had bought some napkin rings from the Spot area, and knew I would utilize them in crafting! Muhahah! 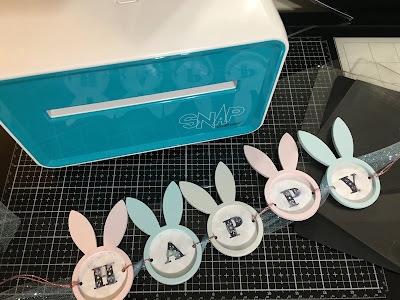 FINALLY it was time to use my Snap machine and die cut out each letter with a circle die to fit my bunny napkin holders! Which are now part of my banner set up. I had NO alpha dies! 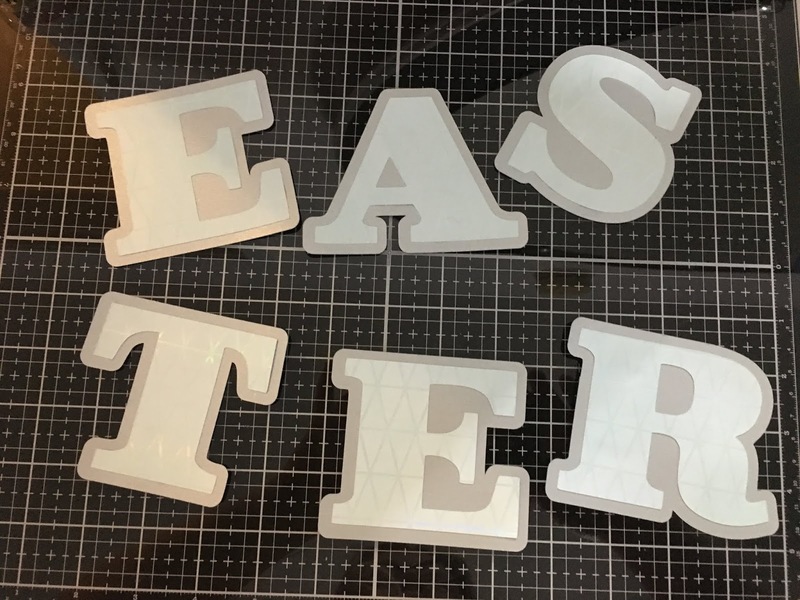 So I had to cut some out using my electric cutting machine. So I did just that! I also punched a couple of holes on each circle for stringing the trims and to be able to hang this part of the banner. I used the blue paper from the water color stack, and cut out a shadow in that metallic silver. 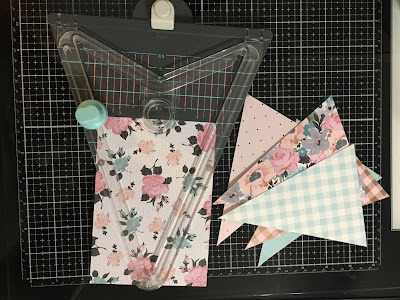 I die cut some of my banner scraps and made some scalloped hanging tabs for my banner pieces. This part was repetitive BUT worthwhile. I decided to add a little metallic trim too! Once it was all pieced together I loved the end results. It was like fallout from a nuke missile BUT in the form of glitter! LOL It all ended happy though, because I loved the qY it all came together! Hope you do too! So there she is in all her spring flavored cuteness! As always, I hope you came, you saw, and were inspired! 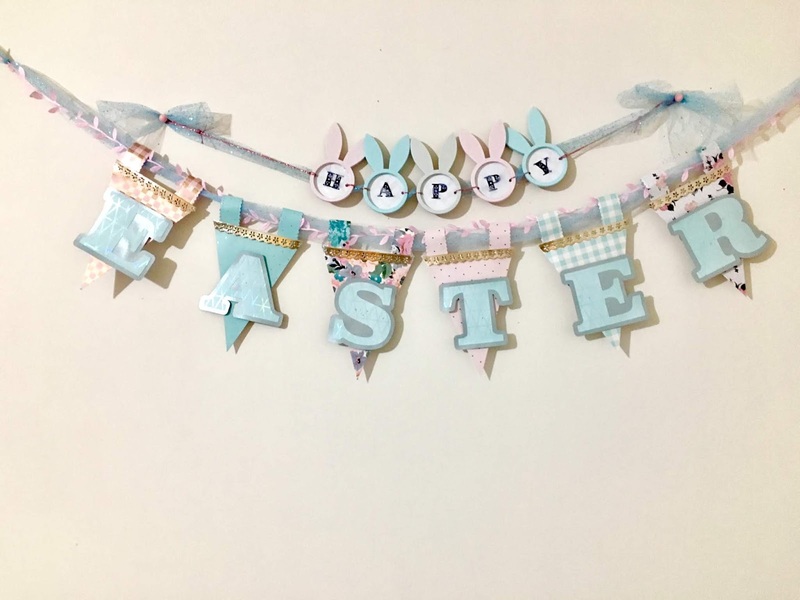 Easter blessings to you all and please keep coming back!